WINNIPEG - The board of Manitoba Hydro is being reminded it can divvy up some of the utility's work to subsidiaries — which the NDP is decrying as a step toward privatization. A sentence seemingly granting the board permission to create subsidiaries was included in the board's new terms of reference, which the NDP raised during question period Wednesday. The document also eliminated references asking Manitoba Hydro to keep electricity rates low and supply power in an environmentally-friendly fashion. "They're essentially taking the heart out of Manitoba Hydro," NDP leader Wab Kinew said. Cheap, clean energy is the basis by which the Crown corporation was formed, he said. "That's the whole reason we created this utility in the first place." Another addition to the board's guidelines include stating the corporation is responsible to the government minister, who must be "proactively informed" when significant issues arise. The provincial government, however, says the rewritten terms of reference was the directive of the Manitoba Hydro board and not itself. 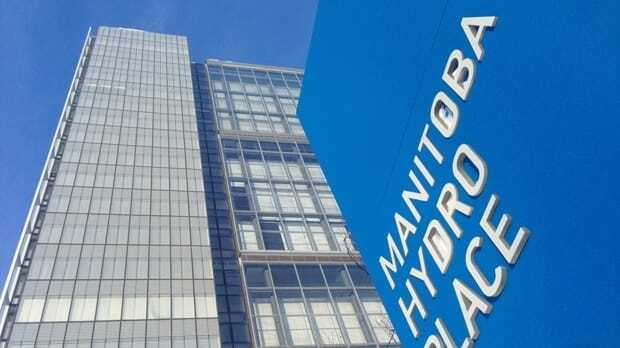 CBC's requests to the government for an interview were directed to Manitoba Hydro. In an interview, Manitoba Hydro spokesperson Scott Powell said the energy utility has undergone no legislative changes, and is still governed by the Manitoba Hydro Act. The terms of reference were altered to align the board's duties with the new act overseeing Crown corporations, Powell said. "Whether you have one or two words different in the terms of reference, the essence of the company hasn't changed." While the new terms of reference no longer instructs the corporation to ensure an "environmentally responsible supply of energy for Manitobans," it encourages the board to "promote economy and efficiency in all phases of power generation and distribution." On the cost to ratepayers, the updated directions asks the utility to deliver "safe, reliable energy services at a fair price," but the board is not specifically instructed with keeping electricity rates low. Kinew contends the added sentence on subsidiaries permits Hydro to be broken off and sold for parts, although the terms of reference does not specify if any subsidiary would be wholly owned by Hydro or contracted to a private company. Powell said Manitoba Hydro has been permitted to create subsidiaries since 1997, and nothing has changed since. Kinew warned about Hydro's privatization last week when Jay Grewal was announced as Hydro's incoming CEO and president. She was employed with B.C. Hydro when then-premier Gordon Campbell — hired by the Manitoba government to investigate costly overruns on two electricity megaprojects — sold off segments of the utility. She then became managing director of Accenture, a global management consulting firm, which acquired several B.C. Hydro departments. During question period Wednesday, Pallister disputed that Manitoba Hydro is bound to be sold. He slammed the NDP's "Americanization strategy" of producing more electricity than it is capable of selling, which has saddled ratepayers with billions in debt. The makeup of the Hydro board has undergone a complete turnover in under a year. Nine of the 10 members resigned en masse this March over an impasse with the Pallister government. The lone holdover, Cliff Graydon, was dismissed from his post last month after the Progressive Conservatives removed him from caucus.